For a pair of defencemen who make their living being stingy on the NHL blueline, it’s giving back in their personal lives that best defines them. 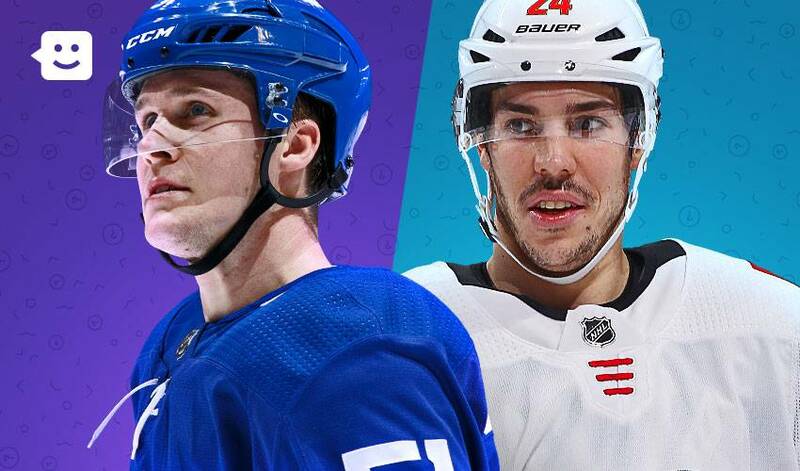 NHLPA members Jake Gardiner and Travis Hamonic know that being a professional means being engaged on and off the ice to make a difference at the rink and in your everyday life. In his off-season, you can find Gardiner back in his home state of Minnesota playing summer hockey in a tournament known as Da Beauty League. Gardiner doesn’t just participate in the tournament for a good cause, though the game’s ticket sales do benefit worthy initiatives such as United Heroes League and former NHLPA member Paul Martin’s Shine A Ligh7 foundation. Post-game, young aspiring hockey players often get the chance to meet with their favourite home-grown players in the familiar community setting of their own local rink. Realizing the importance of helping others and playing their part to build a strong connection with the community has helped each player appreciate the positive impact a person can have through acts of kindness. For both Gardiner and Hamonic, having the opportunity to assist in their respective communities has been a game-changing experience. The D-Partner Program was inspired by Hamonic’s personal loss of his own father at just 10 years old. Since beginning the program during his time with the New York Islanders, Hamonic has brought out hundreds of children who have lost a parent at a young age to one of his home games. Hamonic’s first community initiative since joining the Flames, the Northern Project, also draws from causes close to home. Of Métis descent, Travis, and his wife Stephanie fly and host Indigenous children from the Northwest Territories, Nunavut, and Yukon in Calgary for a weekend to take in a Flames game on an all-expenses paid trip. Since the Hamonics have become three with the recent arrival of the couple’s first child, Charlie, the family quickly found further inspiration to help those in need with Charlie’s Children. The program, supported by the Calgary Flames Foundation, will assist low income families and single parents who are expecting a newborn with resources and supplies. “Even if you spend a little bit of time helping someone or your community, it can go a long way in making a huge difference in that person’s life,” noted Hamonic. This article is a part of a series for the NHLPA’s partnership with Kids Help Phone. We hope these NHL players’ words inspire you to do your part, help others and get involved. If you’re looking for ways to give back in your own community, you can learn more at KidsHelpPhone.ca about sparking a kid’s courage and supporting youth mental health and well-being. Paige Gardiner has always viewed her sibling, Jake, as an ideal role model. It turns out, he’s also pretty adept at being an actual model, too.